This entry was posted in chauffeur drive tours of Ireland, Discover Ireland, English Language tours of Ireland, event management in Ireland, Family gatherings & reunions in Ireland, family reunions in Ireland, Holidays In Ireland, incentive tours of Ireland, Ireland in September, luxury stays in Ireland, luxury tours of Ireland, luxury vacations in Ireland, Occasions & events in Ireland, PRIVATE TOURS of IRELAND, school & college tours of Ireland, St. Patrick's Day in Ireland, Tailor made tours of Ireland, theme events in Ireland, tours of Ireland, vacations in Ireland and tagged bespoke vacations in Ireland, chauffeur driven tours; Wild Atlantic Way, Destination Ireland, family reunions in Ireland, luxury Ireland, self-drive vacations in Ireland, Study Abroad groups on April 7, 2019 by Mary O'Grady. DISCOVER, EXPLORE, EXPERIENCE & ENJOY IRELAND for your 2018 VACATION with our tailor-made itineraries. This entry was posted in chauffeur drive tours of Ireland, Discover Ireland, Family gatherings & reunions in Ireland, Holidays In Ireland, luxury tours of Ireland, luxury vacations in Ireland, PRIVATE TOURS of IRELAND, vacations in Ireland and tagged family gatherings in Ireland, luxury Ireland, luxury tours of Ireland, private tours of Ireland, self-drive vacations in Ireland on November 14, 2017 by Mary O'Grady. 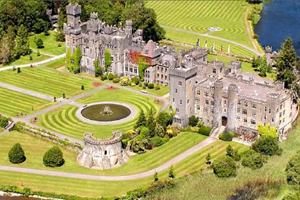 This entry was posted in chauffeur drive tours of Ireland, Discover Ireland, Family gatherings & reunions in Ireland, Holidays In Ireland, luxury tours of Ireland, luxury vacations in Ireland, PRIVATE TOURS of IRELAND, St. Patrick's Day in Ireland, Tailor made tours of Ireland, tours of Ireland, vacations in Ireland and tagged chauffeur drien tours of Ireland, family vacations in Ireland, gatherings in Ireland, luxury tours of Ireland, private rental in Ireland, self-drive vacations in Ireland, small groups tours of Ireland, wild atlantic way tours on July 4, 2017 by Mary O'Grady. This entry was posted in Discover Ireland, Holidays In Ireland, PRIVATE TOURS of IRELAND, vacations in Ireland and tagged chauffeur drive tours of Ireland, family gatherings in Ireland, luxury tours of Ireland, private escorted tours of Ireland, self-drive vacations in Ireland, small group tours of Ireland on May 11, 2017 by Mary O'Grady. 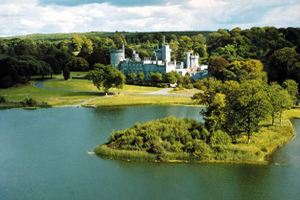 This entry was posted in Holidays In Ireland, PRIVATE TOURS of IRELAND, vacations in Ireland and tagged chauffeur driven tours of Ireland, customized tours of Ireland, family reunions in Ireland, Ireland's ancient east, private Irish tours, self-drive vacations in Ireland, Wild Atlantic Way on January 3, 2017 by Mary O'Grady. This entry was posted in Holidays In Ireland and tagged culture tours of Ireland, customized tours of Ireand chauffeur driven tours of Ireland, large & small group tours of Ireland, private rental in Ireland, self-drive vacations in Ireland on January 1, 2017 by Mary O'Grady.